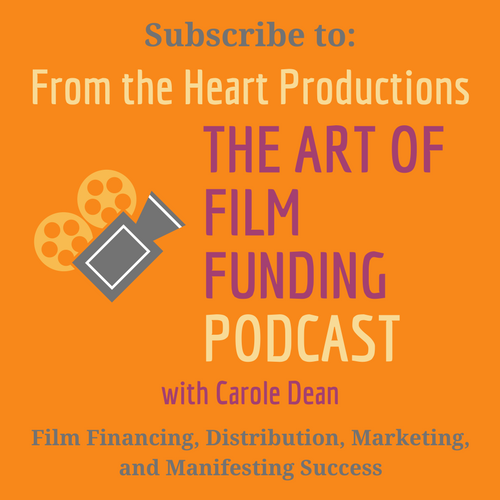 Carole Dean, author of The Art of Film Funding and President of From the Heart Productions Inc, has over 23 year’s experience mentoring independent filmmakers to help them get their films funded. She has helped her fiscally sponsored filmmakers raise over $10 million for their documentaries, features, and short films. She will review and analyze your materials – your proposal, trailer, pitch, etc. 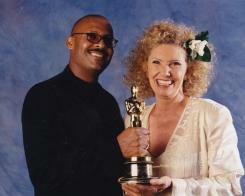 – and work with you to create a successful plan for funding your film. “Each year, I review and consult on over 1,000 films and trailers. They come from those seeking the Roy W. Dean Film Grant to get the funds to jump-start or finish their film to filmmakers who we fiscally sponsor seeking investors and donors. “What I’ve learned is that creating a film is not just about a having a great story, or being a great talent, IT’S ABOUT GETTING THE MONEY TO MAKE IT. After you book an appointment, you will send your materials. She will read your proposal/treatment, watch your trailer or stills, and create constructive ideas to help you immediately. You can talk over the phone OR SKYPE at a time that works for both of you. $95 for 45 minute consultation for fiscally sponsored filmmakers. $145 for 45 minute consultation for all others. to let her know you are interested in making an appointment for your consultation. She will work with you to schedule the best time for both of you. “It explains how manifesting works and how it can work to create your success. It has ancient information on how to create a better future as well as instilling in you the faith and believe that you need to achieve your goals.